Guild Starships: where’s Spaceball 1? You are here: Home / SWTOR / News / Guild Starships: where’s Spaceball 1? It wouldn’t be Star Wars without starships. In every single movie, from the original A New Hope in 1977 until Revenge of the Sith in 2005, the movie opens with spacecraft. The battle between the Imperial Star Destroyer Devastator and the Tantive IV in Star Wars: A New Hope was one of the most iconic scenes ever done for a movie. The opening scene from Spaceballs was also iconic, if for VERY different reasons. Indeed, I doubt there was much that Spaceball 1 ever gave way for. But we are not here to steal air – we are here to play The Old Republic. Many things have been written about the starships in The Old Republic. From the BT-7 to the Defender and the XS on the Republic side to the Mantis, the Fury and the Phantom on the Empire side, all are epic Star Wars goodness. Many people dislike the ‘on rails’ type of space combat, but as an adjunct to the ground game, it works fairly well most of the time. And come on, who DOESN’T enjoy blowing enemy fighters out of the sky, no matter their affiliation? But like all gamers, we want more. One thing that many people have been asking for recently has been more guild related items. Guild banks are coming but many other games have guild halls. These structures serve as meeting places, decoration, and last but certainly not least, ways to flaunt how many people and resources guilds have. We are all human, right? We all want to flaunt what we have. So, why NOT capital class starships as guild halls? 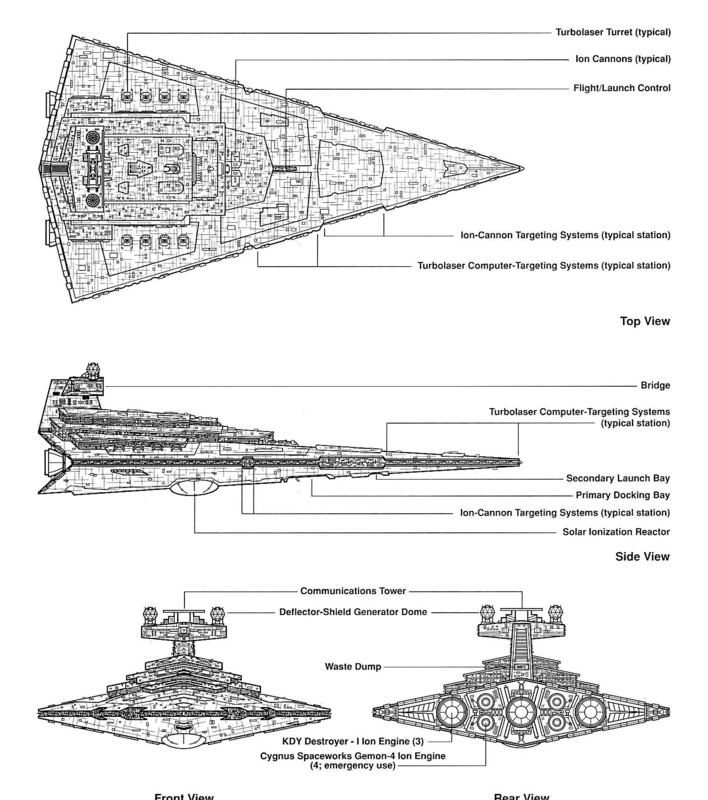 We have all seen the Star Destroyer and Republic battleship designs from The Old Republic by now. Both designs would work as large scale trophy type things. Star Wars Galaxies had customizable guild halls. Many other MMOs did as well – City of Heroes comes to mind for extreme guild hall customisation. But how could we make it work? Starships are not small. Starships that would serve as a means of flaunting the guild would be even larger than the personal transports that are in game now. What would we want? Do we want starships the same as the Empire and Republic have now? The frigates such as the Black Talon or Esseles and the cruisers such as the Overlord or Gav Daragon? Do we want something different? Would it be enough to have them or would we have to be able to make them stand out? If someone wants a rainbow colored Star Destroyer –gag me, but someone asked for it. I HOPE he was joking, but can they get it? One cool thing that I personally never got a chance to try in City of Heroes was raiding opposing player headquarters. So, what if some rival guild comes along, finds your starship in whatever it is hidden –if it is not instanced that is- and tries to board it? Do you have epic scale PvP boarding actions? Or would that be too complex for this game as it is? Oh I can just see it. Insurance agent: You want to insure WHAT? Against starfighter attack? Oooookaaaay…. In conclusion, I would love to have guild capital ships in the game at some point, but I have no idea how they would manage it. And I DO want Spaceball 1 as my own personal ride. I think guild starships are a brilliant idea. Buying and making your guild starship would be one of the best things things to do in swtor. But what your discribing is EVE online really. But I personal think that if bioware were to make guild starships a thing in the game, that I would just be a flight path off the faction fleet to a guild starship and then as soon as you enter the starship your enter a guild phase, just like the group, class and flashpoint phases.